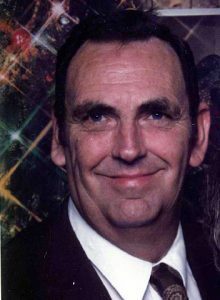 Funeral services for Arnold Archibald Wiese, 84, West Plains, Missouri, will be held at 2:00 p.m., Saturday, November 10, 2018 at Dry Creek Church, under the direction of Robertson-Drago Funeral Home. Mr. Wiese passed away at 2:50 p.m., Monday, November 5, 2018 at Ozarks Medical Center. He was born September 19, 1934, at Pomona, Missouri, to Frederick Christopher Wiese and Anna Murtis Bertleson Wiese. On February 21, 1957, he was married at Alton, Missouri, to Jewell “Joann” White. Mr. Wiese was a farmer and worked for a number of years as an accountant for several businesses in the area, including, Dr. Jack Hayes, Ozark Action and Turning Leaf. He loved farming and studying the Bible. Mr. Wiese was a member of Dry Creek Church for over seventy years, where he served as a Deacon. He is survived by his wife, Joann Wiese; four children, Sheryl Ford, Anna Merline Luton and husband, Jerry, David Wiese and wife, Krista and Dane Wiese and wife, Emma; eleven grandchildren, Rebekah, Jay, John, Jesse and Timothy Ford, Harley, William and Coatney Wiese, David and Sherman Keeler and Sarah Bullock; twenty-three great-grandchildren; and several nieces and nephews. His parents, one grandson, Brian Matthew Wiese, one son-in-law, Robert E. Ford, four brothers, one sister and his very best friend, L. S. Keeler, preceded him in death. Visitation will be held from 6:00 until 8:00 p.m., Friday, at Robertson-Drago Funeral Home. Burial will be in the Dry Creek Cemetery. Memorial contributions may be made to Dry Creek Cemetery and may be left at Robertson-Drago Funeral Home. We send our condolences and we keep the family and friends in our thoughts and prayers..
We certainly have always appreciated you and Arnold taking care of Bessie during her last years and will remain in our thoughts and prayers always. Clara was living with us until she required more care than we were able to give and is now living comfortably in a nearby nursing home and at 98 just as opinionated and as feisty as ever. may your memories comfort you until you are reunited. imagine the reunion there was in Heaven , let that wash over you and bring a smile to your face. Always in my thoughts and prayers.